So this is the first year that I implemented the Flipped Classroom model with my students. And before I go into the details, let me just say that I am never going back to the Stand and Deliver model that so many teachers are reluctant to alter in any way. When I decided to flip my classroom, I knew it would be a lot of planning and work ahead of time. I am still aware that I will always have to be ahead of the students now that I am making changes for next year, including video editing and changing scope and sequence. This has helped me this year because, otherwise, I would have walked in each day with a general sense of what the topic was and just winged it. But that means I would have inevitably left out somewhat important points or really good examples. My kids deserve better. So now that I was preparing for everything ahead of time, and making pretty good videos with Smart Notebook and Smart Recorder, with video checks created with Google Forms, I could now spend more one-on-one time with the students, which was the goal all along. I could now explain concepts more clearly and give more examples, individually or in small groups. I could also answer “what if” questions for that one student that everyone has in their class at one time or another. But best of all, I could get to know my students, through simple conversation. And there was more time for them to express themselves through creative projects that had varying ideas and varying results, all good. What were the results? I was able to get closer with the students, to the point where each period was like a family get-together. Sure, we did math, and talked about important and necessary concepts, but we enjoyed each other’s company. Sure there was typical drama, and conflicting personalities, but somehow it always seemed to resolve more quickly this year. We all knew what we had to do, and we respected each other’s need to get things done. But we laughed at each other, celebrated our successes, and just had fun. In short, I feel like I taught more and lectured less, if that makes sense. Please keep in mind that these are my International Baccalaureate juniors and seniors, along with my “IB prep” underclassmen, so the work is rigorous and the curriculum is full. But even so, we did more than simply meet the requirements of the course. 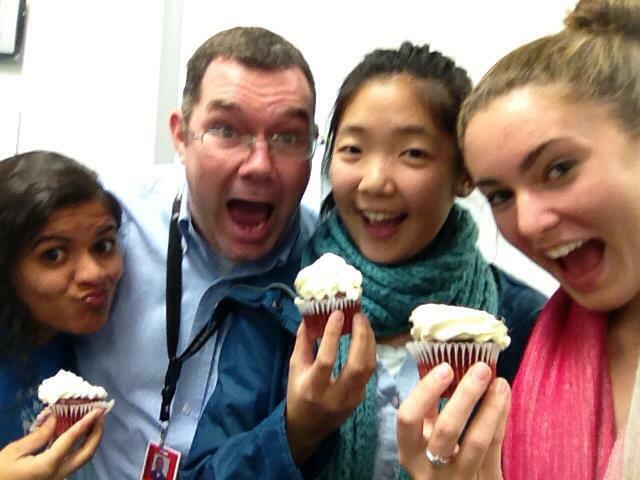 My seniors – I’m sure of it – excelled on their IB papers. All of my students expressed great creativity in showing their understanding of even the most complicated concepts. So what do I have to show for it? My students took great joy in showing me how much fun they had this year. 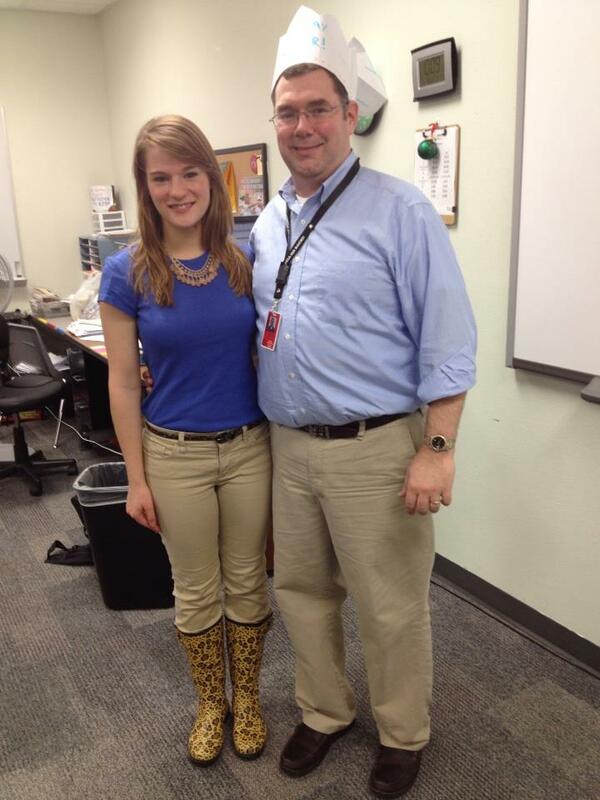 Earlier this year, we celebrated my birthday by having “Blue Shirt Khaki Pants Day” and most of them dressed for it. 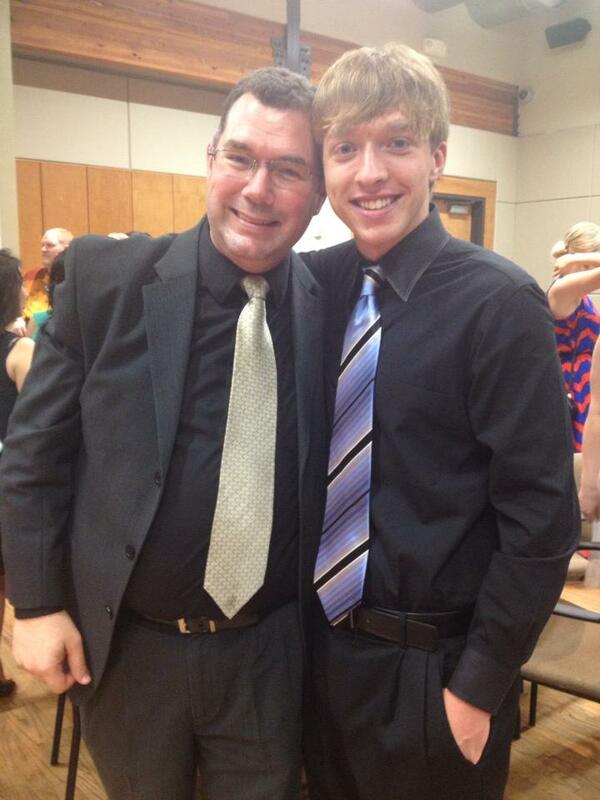 Later, I had the honor of being invited to the Top 5% Banquet by one of my brightest and funniest seniors. And now, as the year ended, I received homemade T-shirts, gift cards, letters, a signed cartoon picture of all of my seniors, and so much more. 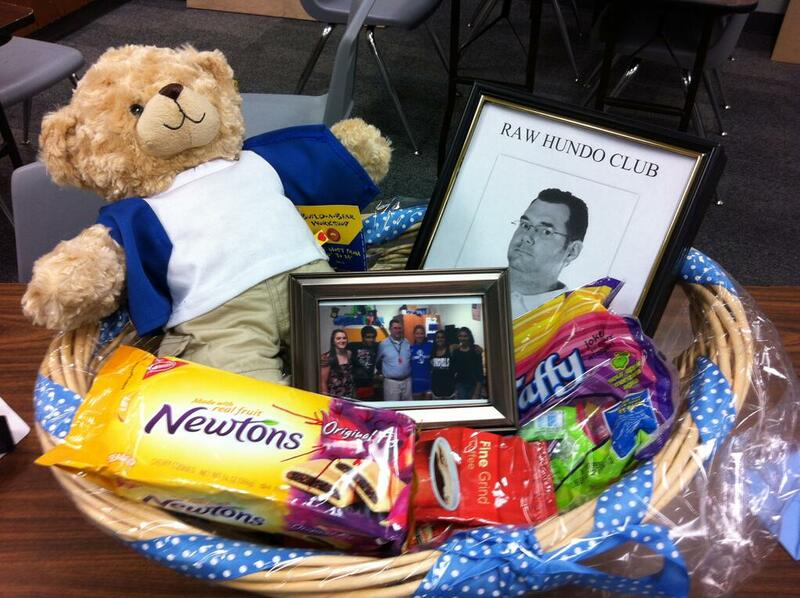 I even got a gift basket, complete with a “blue shirt khaki pants” bear, and a bag of Canadian coffee! 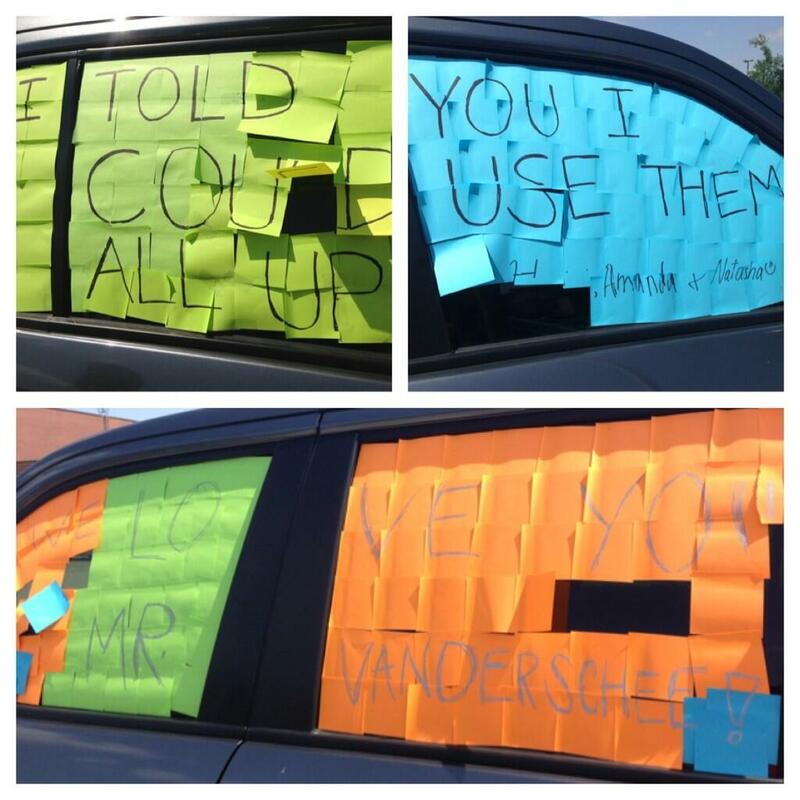 Three of my seniors – Harini, Amanda, and Natasha – “stickied” my car with the message, “We love you, Mr. VanderSchee!” Plus there were so many tears shed by all of us at the end of the year (even from the underclassmen who would simply be getting a different teacher next year) because we would genuinely miss each other. 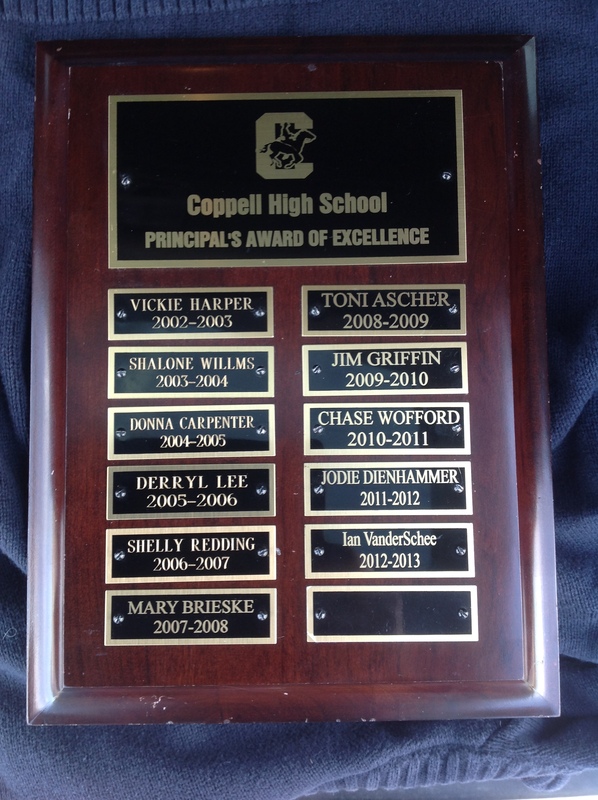 One of the most unexpected rewards this year was the Principal’s Award of Excellence from my principal, Mr. Jasso. I looked at the names of each person that won each year, and I can’t believe I was included in such a revered group of outstanding educators! Now I’m thinking about next year. First off, I was offered the position of Math Department Chair, and I enthusiastically accepted. I already have some innovative ideas that I can’t wait to put in place. Next, I plan on making my classes asynchronous, a concept I heard about from my #flipclass tweeps. My students will have everything they need each unit upfront. My one rule is that they can work ahead, but they can’t fall behind. While they will have practice problems, they will not be graded. They will do as much as they need to in order to complete a more creative assignment for each lesson. This will take some getting used to on my part, but I am up for the challenge. One criticism that I have received often this year is that my students like it when I teach in person rather than by a video. I’m thinking of resolving this by assembling a small group at the beginning of class and doing a recap of the previous evening’s lesson, with a question and answer session to follow, for those that want it. Overall, calling this year a success would be an understatement. I absolutely LOVED this year!! 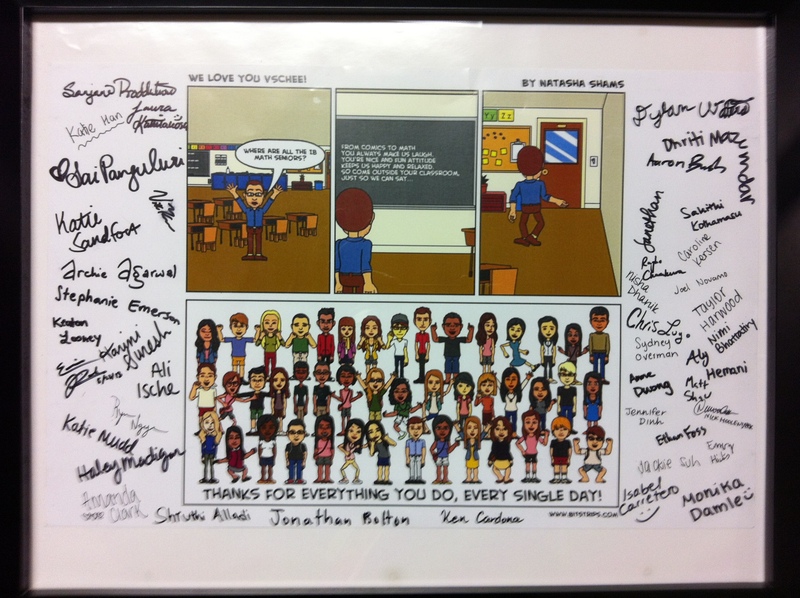 The connections I made with students were stronger than ever, and what we learned from each other will not be forgotten. I know that I am not the perfect teacher, nor do I wish to be. I merely want my students to pursue their passions and build strong relationships with each other. So whatever new teaching strategy comes along that allows me to do that, I will wholeheartedly embrace. If you had asked me to predict how this year would go, my guess would have been far less exciting than what actually happened. That said, I look forward to another great year of trying new things. I look forward to getting to know a new bunch of students. I look forward to approaching each day, motivated by what unexpected things will happen. Posted on June 9, 2013, in Flipped Classroom. Bookmark the permalink. 2 Comments. Thanks for sharing! I saw similar results from my 4 months of flipping. I can’t wait to start off an entire year this Fall as a flipped physics classroom. I agree with the beginning of class recap, it was something I did along with some formative assessment (Socrative app every once in a while. As for asynchronous, I hope to achieve that (maybe 2014-15 school year) after I have flipped for a full year and can reflect. It continues to be great to hear from other flipped teachers, what they all say is true! I too will not go back to Stand & Deliver after this experience. Congrats on the Math Dept Chair position too! Congratulations on your Award of Excellence Ian!!!! That’s awesome. And Math Chair. Woot! 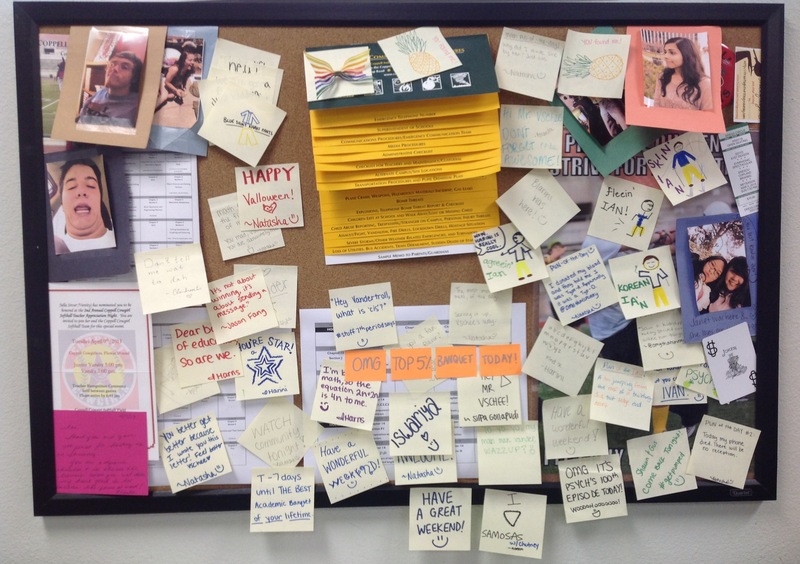 It’s been very inspiring to read about your year as it progressed.